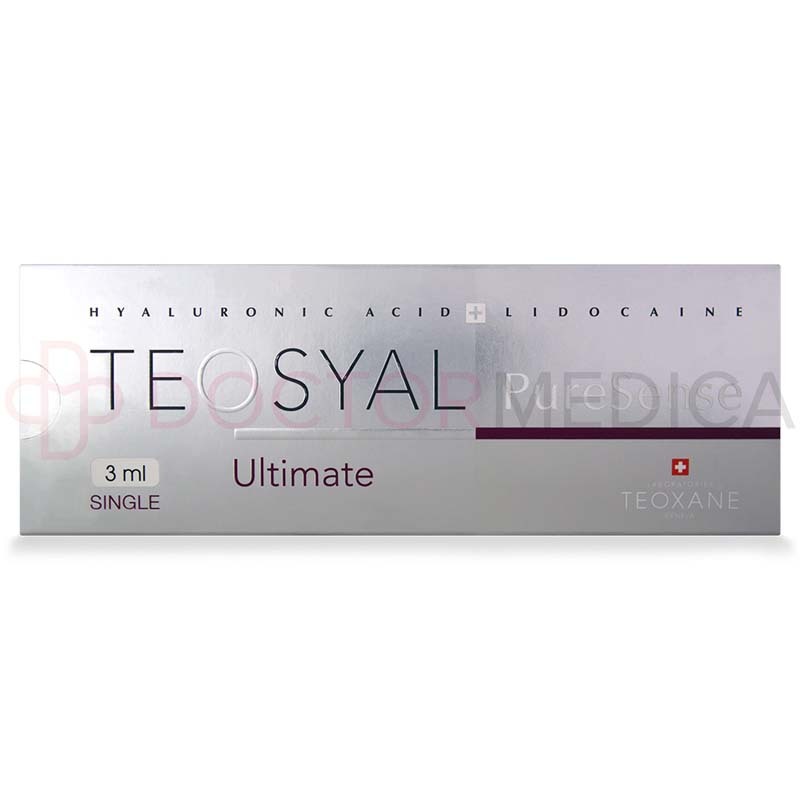 Teosyal PureSense Ultimate is a medical-grade cosmetic filler that has the highest volume-creating capability among all the PureSense line of products. 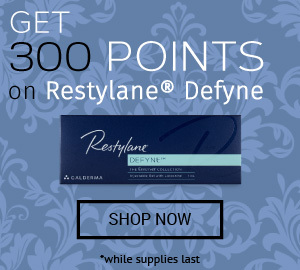 It is conveniently available for purchase from DoctorMedica.com. You can easily place orders online, by phone, fax, or email. We only offer authentic, brand name orthopedic injectables, aesthetic injectables, and ophthalmic solutions at DoctorMedica.com. Simply sign up for an account and you can begin ordering. If you were referred by a colleague, call one of our friendly customer service representatives for more information about our referral program. Teosyal PureSense Ultimate comes with two prefilled syringes containing 1ml of the product, two 25G ½” needles, four traceability labels, and the product insert. Overall, Teosyal PureSense Ultimate 's main benefit is its ability to provides intense volume for the skin. In particular, Teosyal PureSense Ultimate can restore volume that has been lost in the facial area and can remove unsightly skin depressions. Additionally, Teosyal PureSense Ultimate’s ability to provide substantial volume can be used to help contour the face. The lidocaine in this product helps ensure a painless and comfortable injection. 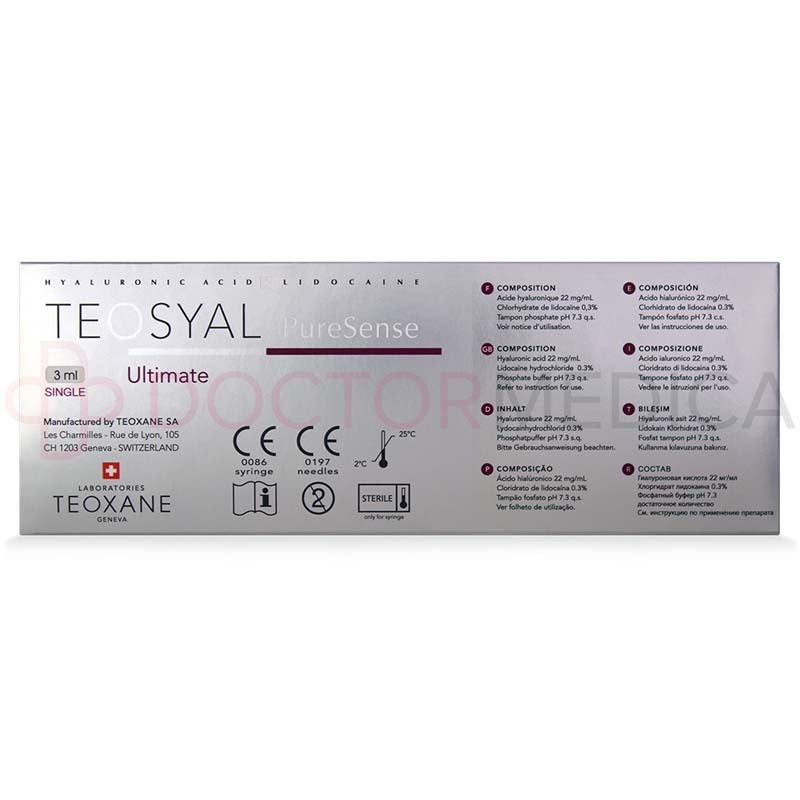 Teosyal PureSense Ultimate contains the following ingredients: cross-linked hyaluronic acid (HA), lidocaine hydrochloride, and phosphate buffer pH 7.3. 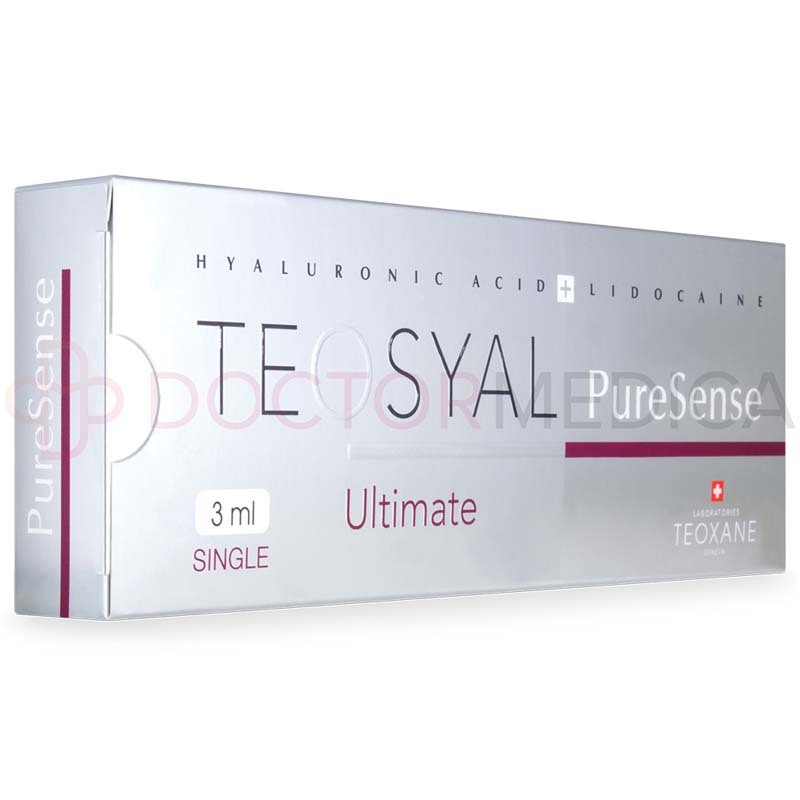 Teosyal PureSense Ultimate is able to deliver the excellent results it does through hyaluronic acid, which is indispensable for the creation and maintenance of appealing skin. HA is critical because it is responsible for hydrating the skin, which, in turn, provides the skin with volume. Therefore, when the body’s ability to produce HA deteriorates due to aging, the resulting decline in the amount of HA in the body can cause the skin to start to lose volume, and this loss of volume can create wrinkles and lines and hollow out areas of the face. As such, increasing the amount of hydrating and volumizing hyaluronic acid in the face through a Teosyal PureSense Ultimate injection can reverse, or at the very least mitigate, the negative effects described above. Additionally, this filler’s effects are long-lasting because Teosyal PureSense Ultimate is designed to resist degradation caused by strong oxidative stress. Prior to injection, disinfect the affected area and remove all traces of dirt and makeup. 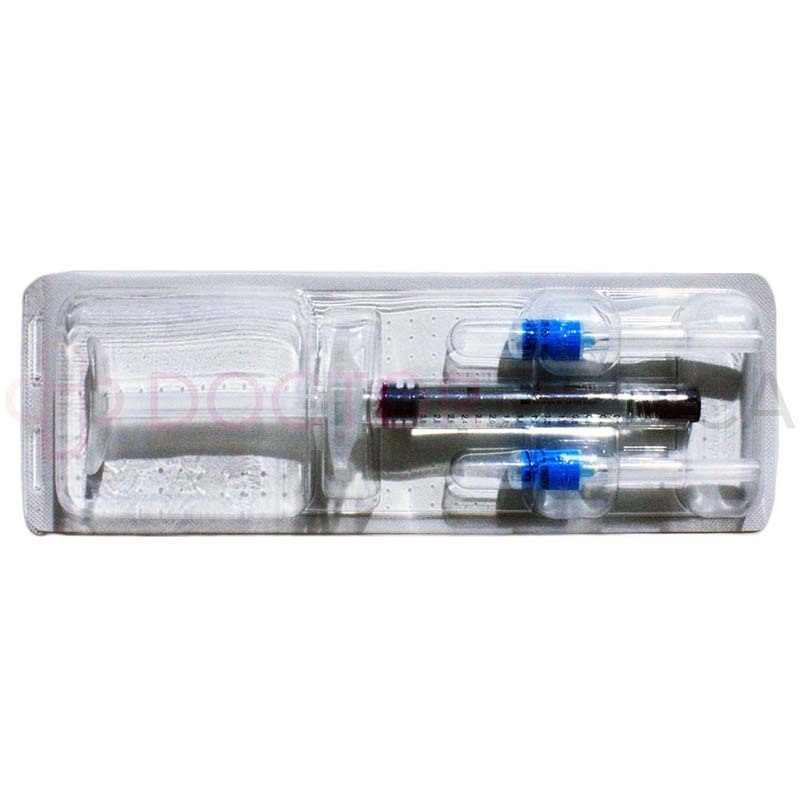 Using the hypodermic needles from the packaging, slowly inject the contents of the syringe into the subdermal layer of the skin. It should be noted that because of the high volumizing capability of this filler, it should not be used to correct superficial or mild lines and wrinkles; instead, focus on hollowed out areas of the face and skin depressions. Once the injection is complete, massaging the area of treatment can be optimal, as this practice can ensure the even distribution of the product in the treatment area. For more comprehensive instruction, refer to the product insert before using the product. The whole procedure usually takes about 30 minutes to complete, which is similar to the treatment lengths for other cosmetic fillers. Although your patients can resume normal activities after the procedure, be sure to instruct them to avoid cosmetics and makeup for 12 hours and to refrain from engaging in strenuous activities for 48 hours after the treatment. Use Teosyal PureSense Ultimate to create a more defined and sculpted facial contour by restoring volume on hollow areas or the less defined structures of the face. Teosyal PureSense Ultimate can also be used to treat skin depressions. Ultimately, building volume underneath the skin will result in a firmer, smoother, and more youthful looking appearance. This filler is suitable for use on the face, particularly the areas that are sunken and hollow or have skin depressions. 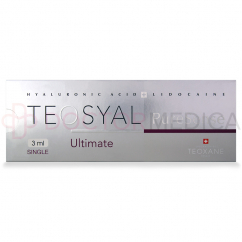 Also, Teosyal PureSense Ultimate’s contouring abilities make it suitable for use on the chin, jawline, and temples. The effects of Teosyal PureSense Ultimate can potentially last up to 18 months. Each patient may experience different results because of their age, skin type, lifestyle, and the amount of filler injected. This extraordinary filler provides intense restoration of lost volume and advanced structure augmentation, and the results are stable, natural-looking, and last longer than its competitors. Administration is simple and made easier by the inclusion of lidocaine. Between its efficacy and comfortable nature of its injection procedure, Teosyal PureSense Ultimate is an ideal cosmetic filler for your practice that can, when used appropriately, deliver results that will leave your patients highly satisfied. Teosyal PureSense Ultimate is recommended for those who want to correct extreme volume loss, fix skin depressions, and/or contour the face. Patients who have skin concerns that require advanced treatment, such as deep dermal depressions, hollow cheeks due to fat tissue loss, and sagging skin that has lost its natural elasticity, can all benefit from this filler. Like other modern dermal fillers, Teosyal PureSense Ultimate is safe, but it does shave some potential side effects. The potential side effects include erythema, swelling, itching, and tenderness at the site of injection, although these effects are usually mild and transient in nature. In fact, these potential side effects usually resolve themselves of their own accord within a day or two. Read the product insert thoroughly to learn about all the side effects, precautions, complications, and contraindications associated with Teosyal PureSense Ultimate.